Blair Leatherwood has been living in the theatre world for quite a while (even longer if you count the Christmas plays in elementary school). He was raised in California and got most of his experience there, but spent two years in the Boston area getting his MFA in Acting from Brandeis University. Blair has been involved in practically every aspect of production, from building sets and running costumes to directing, but his primary love is acting. Blair is a member of Actors' Equity Association and in must-join status with SAG-AFTRA. He has done all manner of plays, from comedies of manners to farces to Shakespearean tragedy. Blair has an extensive musical theatre background that even extends to opera (having joined the Sacramento Opera chorus to learn about opera in order to avoid being tossed off a balcony by his musician spouse). Blair's resumé includes Macbeth, Prospero, Leontes, Salieri, Sir Thomas More, Felix Ungar, Judas (the Godspell one), Lt. Col. Jessep, Joe Keller, Doctors Van Helsing, Falke and Chasuble, Scrooge, a Norwegian Papa and the President (in Richard Foreman's Symphony of Rats). He has said (or sung) the words of Shakespeare, Stoppard, Albee, Miller, Williams, Sondheim, Willson, Guthrie, Feydeau (in English translation), Wilde, Lindsay-Abaire, Simon, and many others. 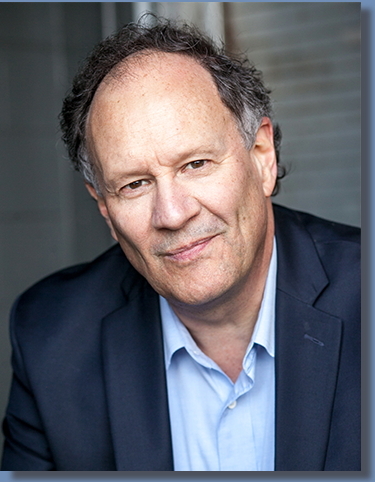 Blair has worked in community theatre of all types, children's theatre, summer stock, and in professional houses; he even got to perform on the Kennedy Center Terrace Theatre stage in an original musical. His experience includes films, commercials, webisodes, and print work. Blair says: "I believe that it's the communication between actors that ultimately involves the audience  without the connection onstage, there can be no connection to the audience. I'm happiest when I'm being pushed to my limits; if I'm not giving everything of myself, I can't imagine that anyone would be willing to go along for the ride. I also believe in enjoyment; if the actors aren't enjoying themselves onstage (even if it's Medea), the audience won't be enjoying themselves, either."